Every press release published both online and offline (newspapers, fashion magazines, etc.…) will be posted here for you to read. A new selection of luxury ostrich handbags just in at Gleni’s showroom, gives wholesalers an opportunity to purchase some of these sought after bags for immediate delivery. The hand-crafted bags made with prestigious ostrich leather from a renowned Italian tannery are much in demand by fashionable women world over. 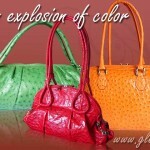 San Benedetto del Tronto, Italy (PRWEB) August 1, 2008 — A new selection of exclusive ostrich leather handbags has just arrived at Gleni’s showroom and Gleni are now making them available to their wholesale customers as well as their private customers. 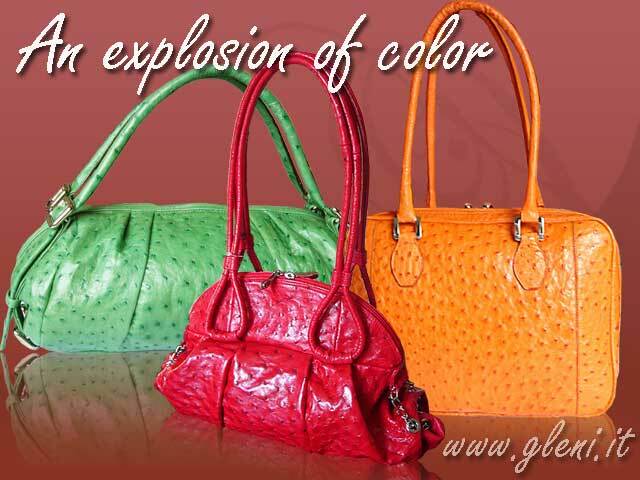 Gleni is launching their new web site www.gleni.it , an online project for their hand-made, exotic leather handbags, making them available to individual customers, as well as wholesalers, world-wide. 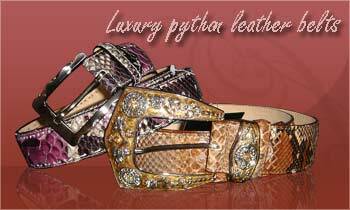 Launching their new range of luxury fashion python belts, Gleni is confident in the growing demand for top quality leather fashion accessories. Current trends in high fashion have put the spotlight on belts and even in times when the economy is slow they make excellent long term investments.